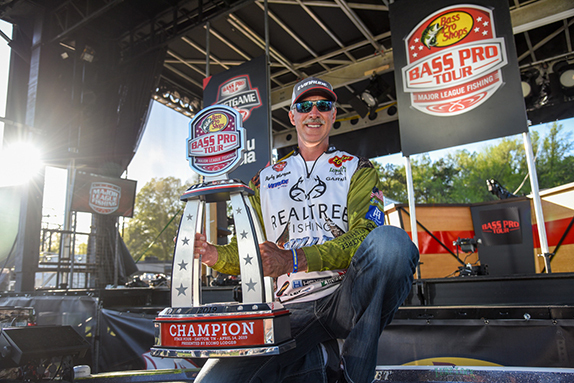 When he won the 2007 Forrest Wood Cup on Lake Ouachita to claim bass fishing�s first seven-figure check, most of the field was telling him �how tough it was, how bad it stunk,� but Suggs quit practicing a week and a half before the event started and then dominated the tournament by slow-rolling a 3/4-ounce spinnerbait 25 feet deep over much deeper water. While that event took place in the heart of the summer, one of his favorite times to chase suspenders, it�s not the only time that he targets them � by choice or by necessity. Winter is another time when fish may suspend, typically on main-lake channel swings and creek-channel swings. He�ll target them with a swimbait and a grub. As the season progresses toward the spawn, he�ll look for them on areas adjacent to spawning flats. He�ll stick with the swimbait, but also add a jerkbait to his arsenal. After the spawn, he�ll follow the suspending fish out of their bedding areas in different manners, depending on which strain of bass he�s chasing. Northern-strain largemouths will hit the points at the mouths of the spawning bays and drops at the edges of the flats, while Florida-strain bass � including those in states like Texas � typically follow drains and ditches out to their summertime haunts. 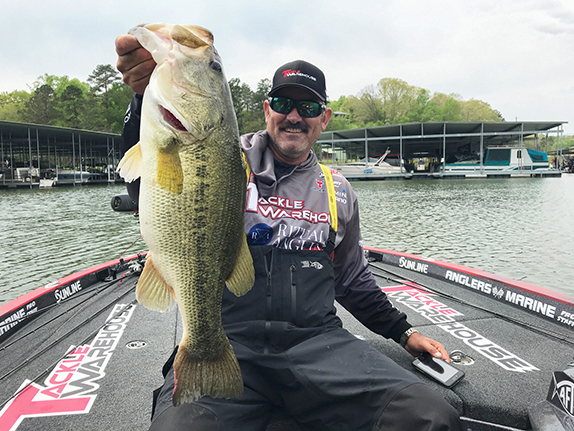 He�ll chase them with an aggressively-pulled jerkbait, a walking topwater and a wake bait, and said that as the summer progresses that�s when the numbers start to stack. In the fall he likes to fish a War Eagle underspin over brush and in timber. While most of those lures are widely used, some of his lesser-known tools also get heavy usage. In the fall, a 1/2- or 7/8-ounce jigging spoon matches the bait really well and allows him to �keep it in their face a long time.� More recently, a flutter spoon, like the one made famous by his friend James Watson, has also become a major player. During the summer, he�s a huge fan of a hair jig like the original Preacher Jig, but notes that this presentation requires particular tackle to be effective. It has a light hook, so he uses a rod with a fair amount of give. �It�s not quite a pistol grip, but it�s dang close,� he said, and he fishes the jig on 12-pound line. No matter where he�s targeting suspending fish � whether it�s a bridge column, a drop or a point � there�s some place on that cover or structure that�s different from the rest of it. It could be a taller stump, a different depth, or the presence of brush, but that�s likely to hold the most fish and the most aggressive fish. 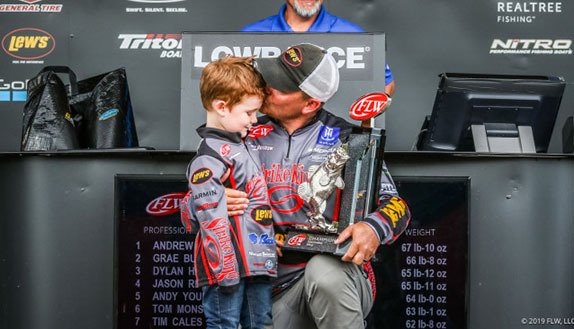 Later in the season, he�ll also try to find the thermocline, which allows him to �shrink the lake.� For example, at the Cup he won, the thermocline was at 26 feet, so it took everything below 26 feet �out of the game.� Today�s modern electronics make it easy to find. 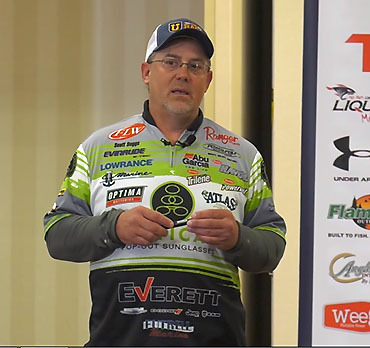 If you want to learn some of Suggs' other strategies for bringing suspended bass into the boat, including his reasons for launching the boat in the dark when finding the thermocline is an important part of the puzzle, check out his full video, available only by subscribing to The Bass University TV.